Previous studies of human Y-chromosomal single-nucleotide polymorphisms (Y-SNPs) established a link between the extant Y-SNP haplogroup distribution and the prehistoric demography of Europe. By contrast, our analysis of seven rapidly evolving Y-chromosomal short tandem repeat loci (Y-STRs) in over 12,700 samples from 91 different locations in Europe reveals a signature of more recent historic events, not previously detected by other genetic markers. Cluster analysis based upon molecular variance yields two clearly identifiable sub-clusters of Western and Eastern European Y-STR haplotypes, and a diverse transition zone in central Europe, where haplotype spectra change more rapidly with longitude than with latitude. This and other observed patterns of Y-STR similarity may plausibly be related to particular historical incidents, including, for example, the expansion of the Franconian and Ottoman Empires. We conclude that Y-STRs may be capable of resolving male genealogies to an unparalleled degree and could therefore provide a useful means to study local population structure and recent demographic history. L. Roewer and P.J.P. Croucher contributed equally to this paper. 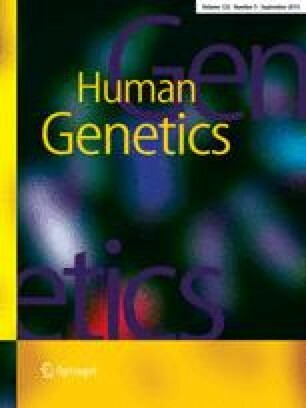 This revised version was published online in February 2005 with corrections to the addresses of the authors of the Forensic Y-Chromosome Research Group. The authors wish to thank Wulf Schiefenhövel, Andechs, for helpful comments and criticisms, and Brian Fulfrost of the UCSC GIS Technology Lab for valuable advice on geo-spatial data interpolation and visualisation.